Tax season is upon us, and consumers across the country are getting ready to file their federal income tax return if they haven't aleady. Or, maybe they’re not. The IRS released a statement yesterday saying that it’s holding onto $1 billion in refunds for an estimated 1 million people who haven’t filed a 2013 return. The agency warns that consumers have until Tuesday, April 18 to file a return for 2013 before that money goes to the U.S. Treasury. "We’re trying to connect a million people with their share of $1 billion in unclaimed refunds for the 2013 tax year. People across the nation haven’t filed tax returns to claim these refunds, and their window of opportunity is closing soon. 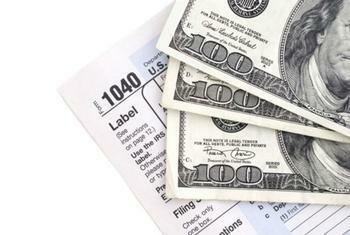 Students and many others may not realize they’re due a tax refund. Remember, there’s no penalty for filing a late return if you’re due a refund,” said IRS Commissioner John Koskinen. Many consumers may be under the misconception that tax returns need to be filed right away, but the law actually allows for a three-year window in which refunds are still claimable. That deadline is quickly coming to a close, though – so consumers will need to act quickly. Consumers who want to receive a refund will have to properly address mail and postmark their 2013 tax return by April 18, 2017 in order to receive any money. However, the IRS states that checks may be withheld if tax returns have not been filed for the 2014 and 2015 tax years. Estimates indicate that the median potential refund for the 2013 tax year is $763, with half of returns being higher than that number and half being lower. However, the IRS says that there is a large disparity in the number of returns owed to consumers in each state. The states with the most individuals owed a refund include Tennessee (104,700), California (97,200), and Florida (66,900). The total potential refunds in these states, excluding the EITC and other credits, stand at $115,580,000, $93,406,000, and $67,758,000, respectively. The full list of states with their potential refunds can be found here. Instructions for filling out current and prior year tax forms, such as the 1040, 1040A, and 1040EZ, can be found here. Consumers can also call toll-free at 800-829-3676. Consumers who are missing forms like their W-2, 1098, 1099, or 5498, should contact their employer, bank, or other payer to request them. If you’re unable to get these missing forms, go to IRS.gov and use the “Get Transcript Online” tool to receive a Wage and Income transcript. It will provide data and information that can be used to file your tax return. For more information, visit the IRS site here.